Read how others improved the customer service experience. 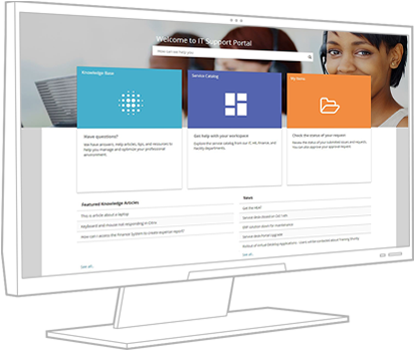 A modern service delivery experience doesn’t have to be limited to IT. All business departments need to become more efficient and proactive by transforming manual process currently driven by ad hoc emails, dated spreadsheets or paper documents. Do other departments come to you to learn how you’ve improved your service delivery? Your IT teams can help by leveraging Ivanti Service Manager to automate and streamline repetitive tasks, while improving user satisfaction with more self-service opportunities thru multiple channels. Your IT department is well positioned to automate the services and offerings of other departments. Partner with them to leverage your ITSM tools and practises to develop and deliver new innovative services. See how Ivanti can help you improve service delivery beyond IT. 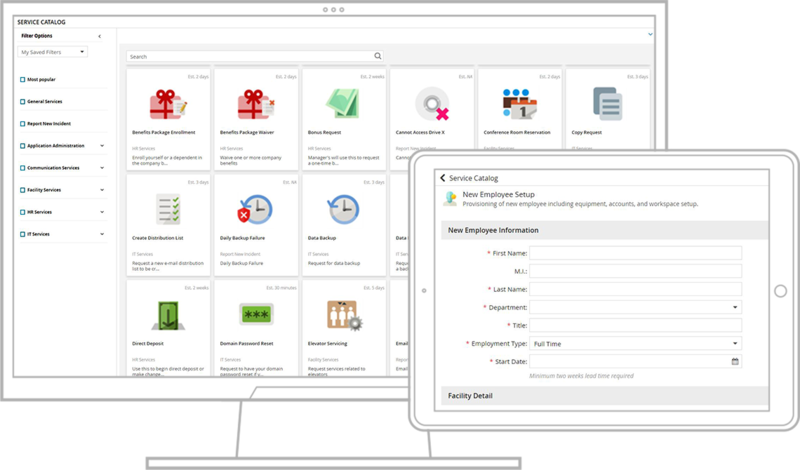 Automate on- & off-boarding, updates, payroll requests & administration, benefit inquires and more. Streamline requests for moves, repairs work orders, maintenance and general building management. Use a full suite of voice-enabled capabilities to improve customer interactions and engagements. Help other teams design and automate their end-to-end processes to better connect with their users. See how Ivanti’s solutions can help you improve the service delivery experience and quality across all business units, while providing a foundation for ongoing innovation. We’re standing by with solutions to improve service delivery. Reach out and let’s start a conversation. Ready to take the next step? Our helpful experts are ready to help you select the best solution for your IT and business needs.